Calm your mind without damaging your liver. 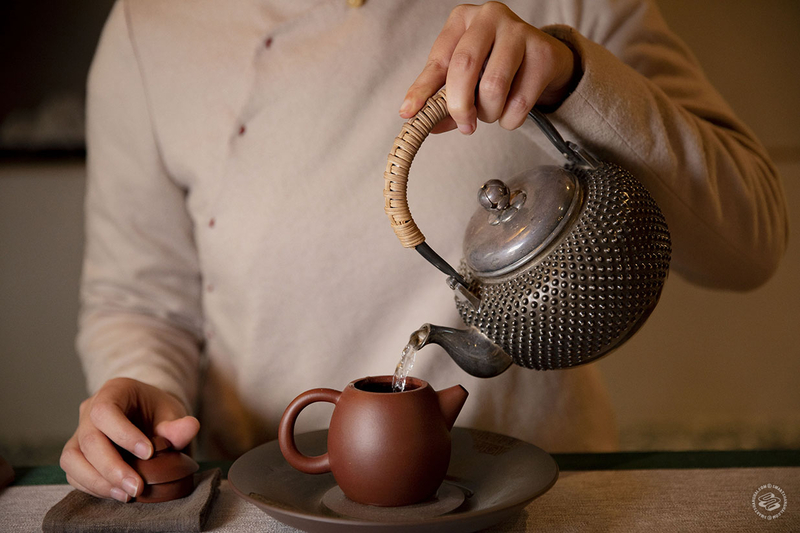 Tea houses have been trendy in Shanghai since the Qing Dynasty. They were the venues where we hosted our Qing Dynasty versions of comedy clubs and storytelling workshops, where meetups and hours-long conversations took place. 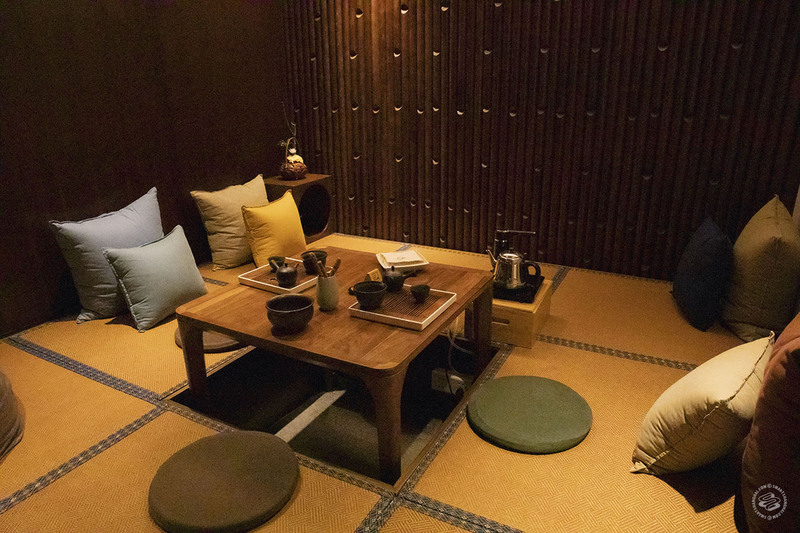 But even our ancestors would be shocked by how saturated the tea house market is now, as the rising middle-class and elites are more and more inclined to spend a few hundred kuai on fine tea and the cultural value (or social symbol?) behind it. 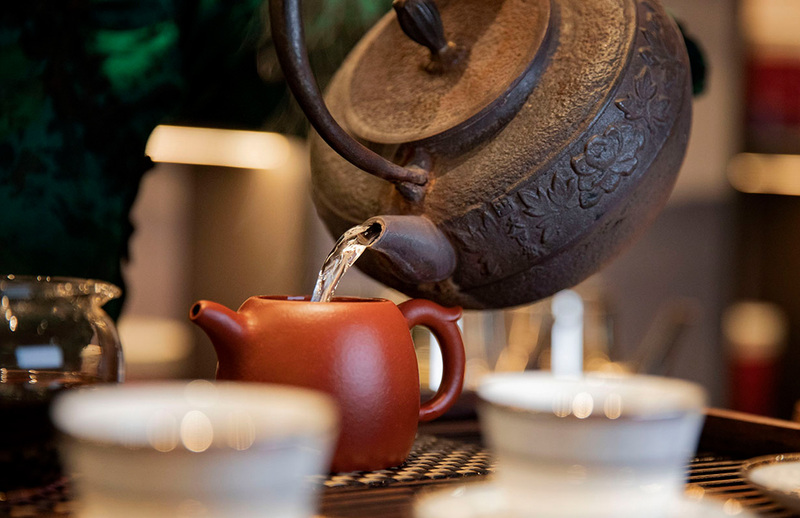 Finding a decent Chinese tea house in New York or London is hard, but in Shanghai? We had to omit way more tea houses than we could ever include for this single article. When you go, remember to book in advance for private rooms; most tea houses don’t give the nice rooms to walk-in customers. And check Dianping for deals, which can usually save you a good amount of scratch. 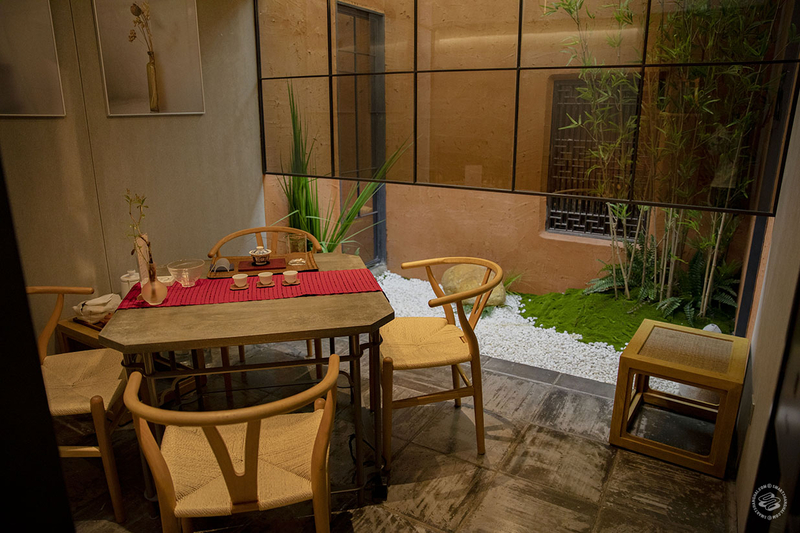 Tingtai, my favorite, is a lovely balance of stylish environment and intimate tea “dao” experience. The cha dao experience is hard to come by — it’s something you get if you’re friends with a tea shop owner but otherwise struggle to find. 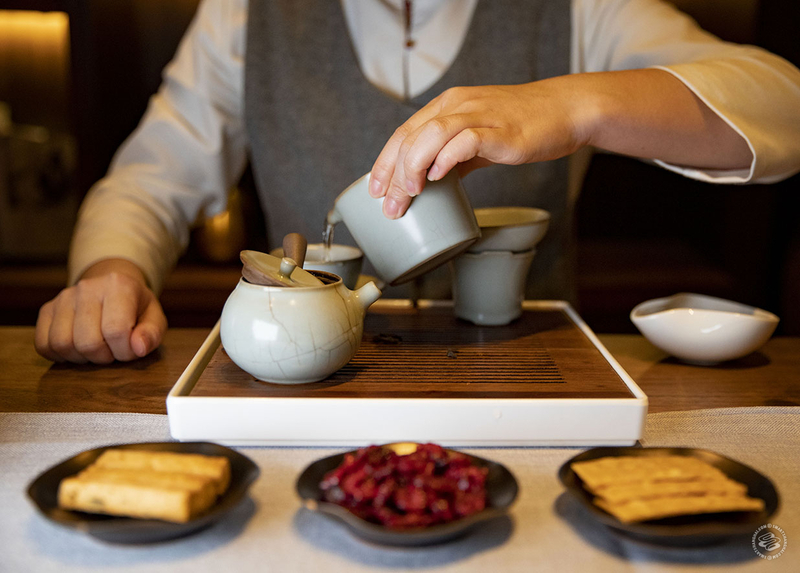 You take off your shoes, sit and chat with the tea “sommelier” for hours, watch her gracefully prepare the tea with precise timing and movements, appreciate the whole process of tea drinking, and pay close attention to the subtle reactions of your salivary gland. Tingtai may be a passion project. 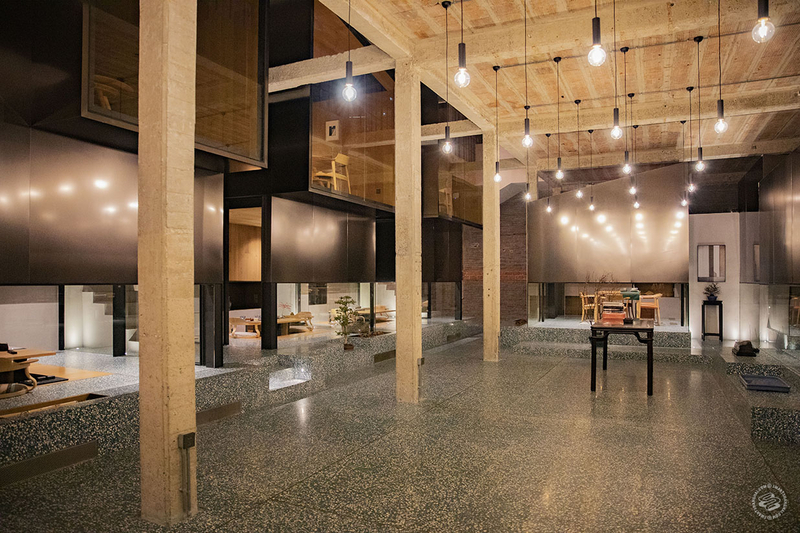 Despite the price tag, the place doesn’t seem profitable — the owner spent two years of its lease on interior design (done by Linehouse, who notably did the Weihai Lu WeWork). He imported bonsai from Japan and equipped each room with luxurious teaware and chairs by marquee designers like Li Da and Ken Okuyama. He’s also a big supporter of contemporary art, which can be seen from the oil paintings and photographs hung in the tea rooms. It’s in M50 after all. The space itself is certainly something to marvel at, but the tea is just as impressive. 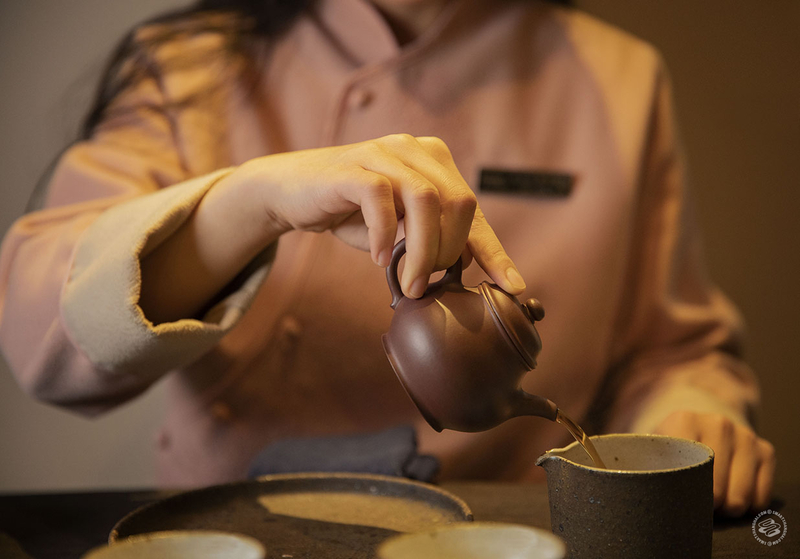 Eleven types of pu’er plus one white tea are on the menu, starting from the king and queen of pu’er — banzhang and bingdao — to 88 Qing Bing. Before Tingtai, I was suspicious how much tea "sommeliers" can shape the taste of the tea. Tingtai convinced me. 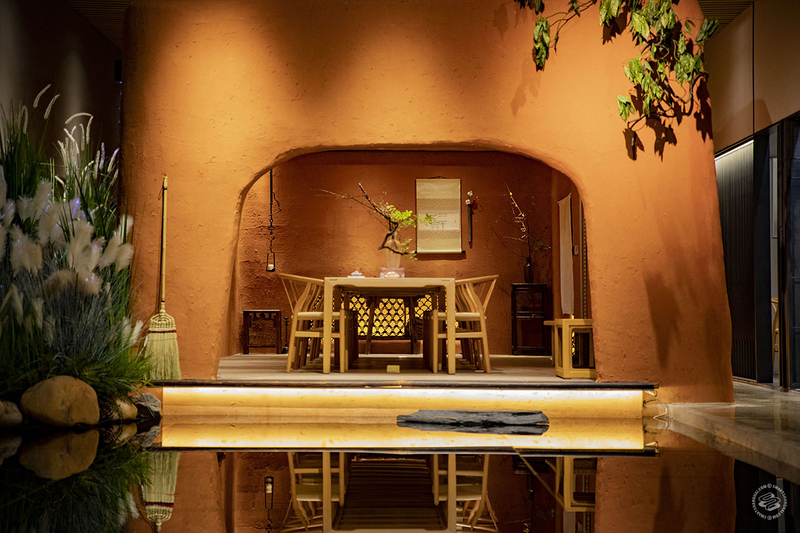 Offering both a casual setting to relax and a more serious opportunity to be mindful, this tea house just begs to be shared. 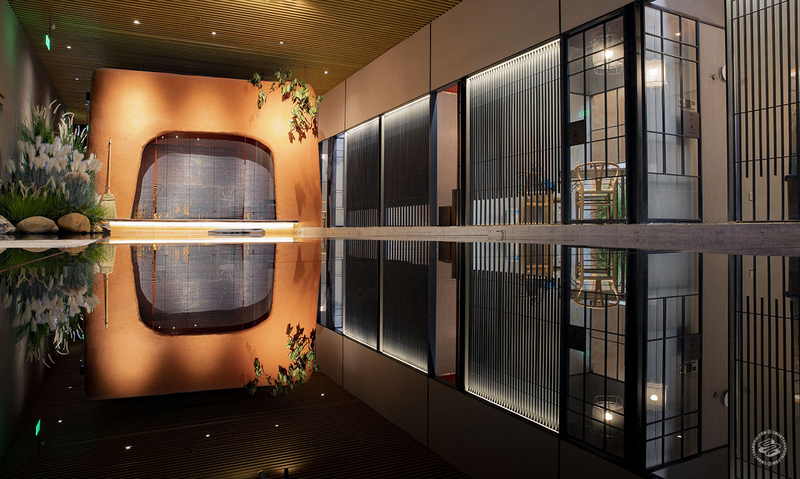 Xishe put a “red box” tea house inside a warehouse-turned-workplace, with a bamboo ceiling and a beautiful garden attached, for its first store. For this, its second store which opened in September, they adopted a similar style but more artsy and glamorous, hosting workshops, talks, and “tea listening” concerts regularly. Xishe’s specialty is Wuyi yancha, with an extensive menu of award-winning rougui, shuixian, and dancong. Aside from oolong, they serve other five types of tea, as well as lunch and other refreshments. Prices are steep. 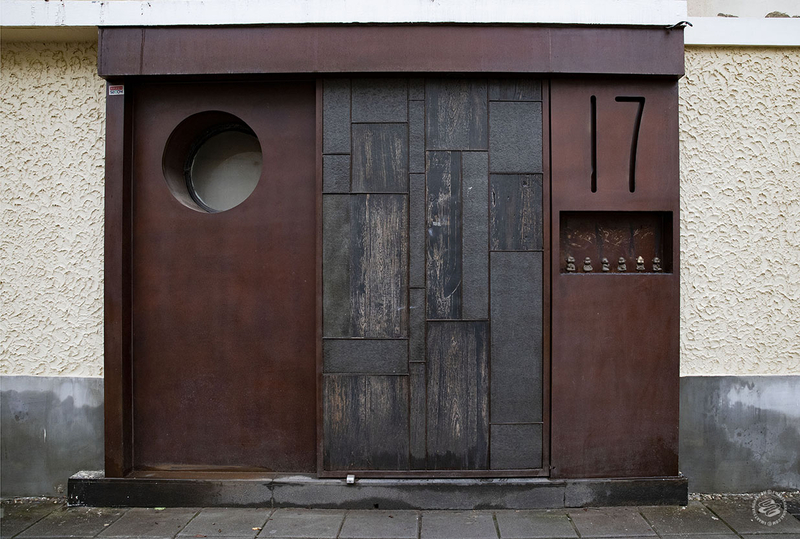 One of Xishe’s co-owners is a renowned minimalist architect. 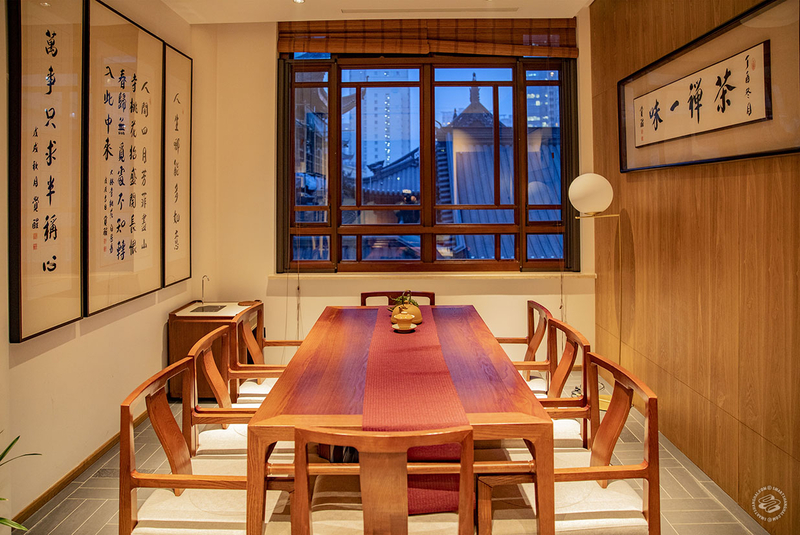 He separated the space into three parts: a line of elegant and joyful Chinese-style tea rooms, a big “laterite house” in the middle, and a handful of small, more private laterite rooms on the left. Teaware is customized to fit the “happiness” (xi, 喜) theme, some of them made with expensive liu li glass, which Xishe is also selling here. The tea “sommeliers” are attentive, but they only help with the first brew. 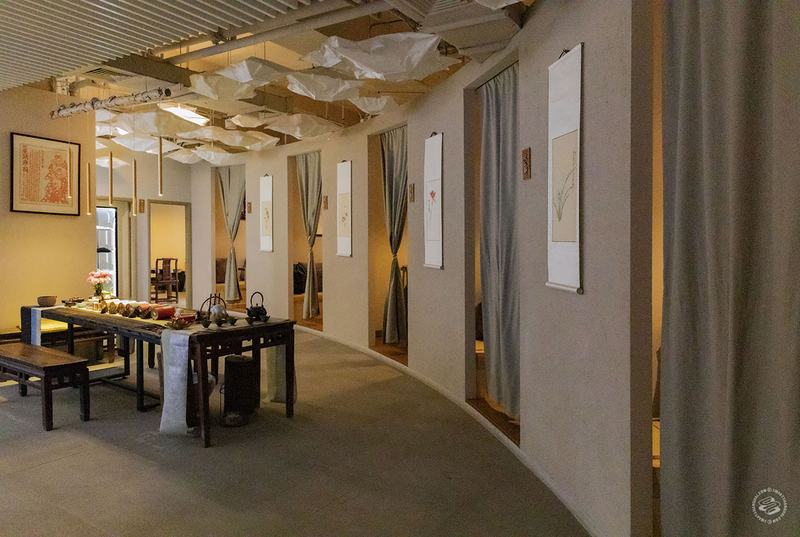 This newly decorated tea house in Jade Buddha Temple is for those who want to immerse themselves in Zen Buddhist culture. 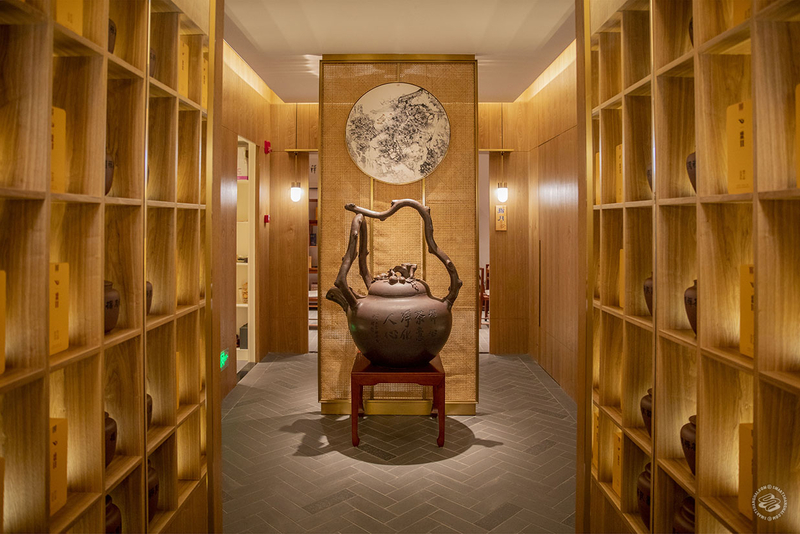 Zhiyue offers a long desk for guests to copy manuscripts, the staff plays the guzheng in the background, and the tea “sommeliers” treat “everyone as equal”. 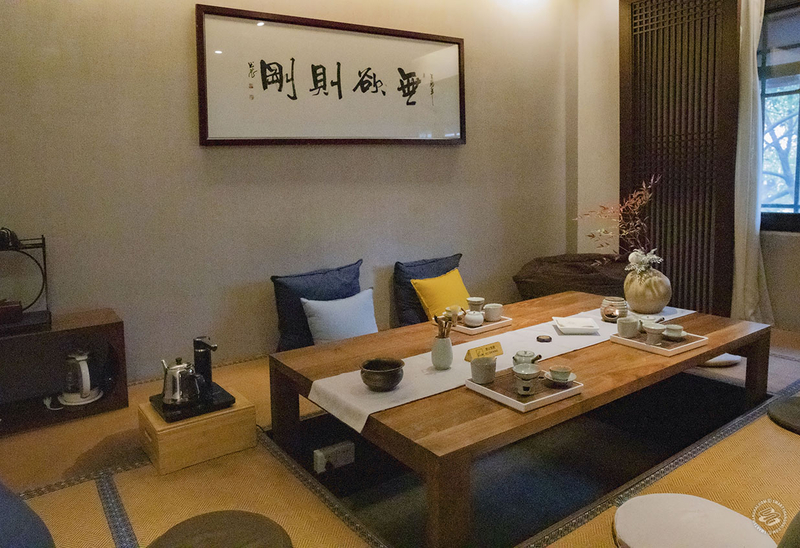 The tea house upstairs is a mixture of Chinese and Japanese-style tea rooms, decorated with calligraphy by the abbot of the temple, Master Jue Xing. 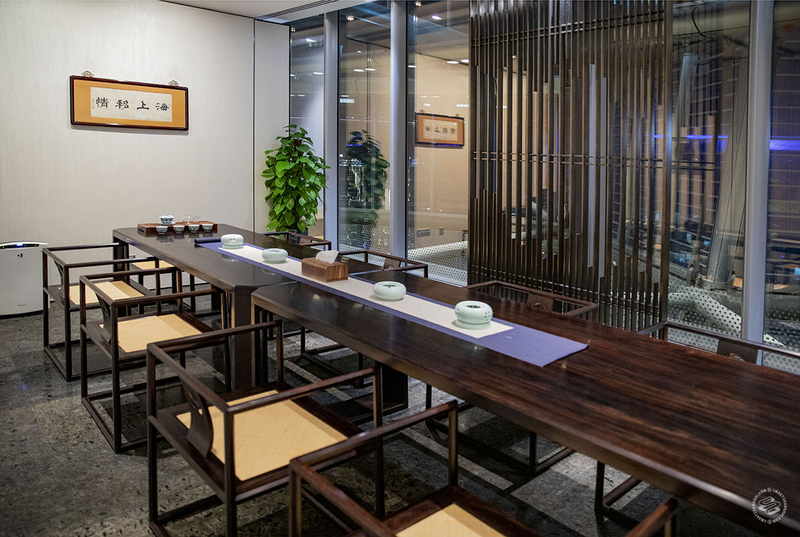 Downstairs, it’s for more casual drinking, as the tea is brewed on one “wet table” (湿泡台) which is really traditional but also messy. They have a few seats outside where you can sit and enjoy people-watching as the weather gets warmer. 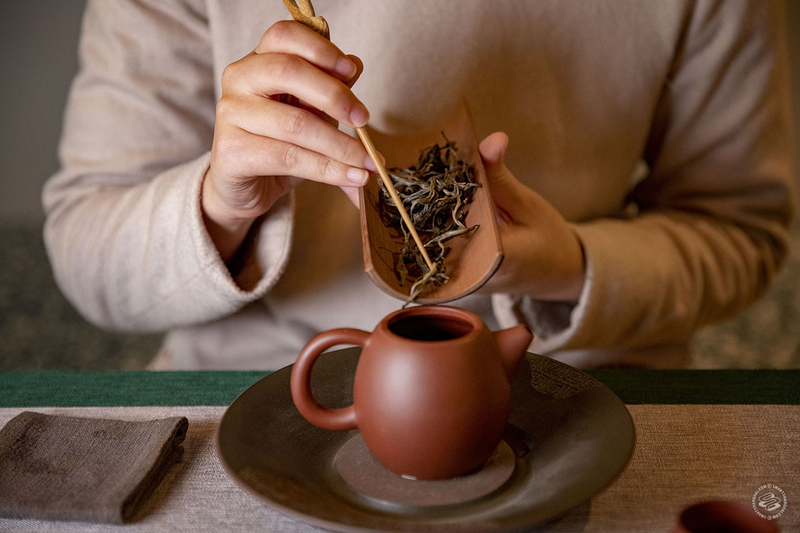 They have thirteen pu’er and five white teas, including Wuyi yancha (a variety of oolong) from the well-known Ruiquan Factory and pu’er selected by the temple master himself. Since the temple closes four hours earlier than the tea house, you’ll need to call the staff from the tea house to assist you inside from the side door after 4:30pm. 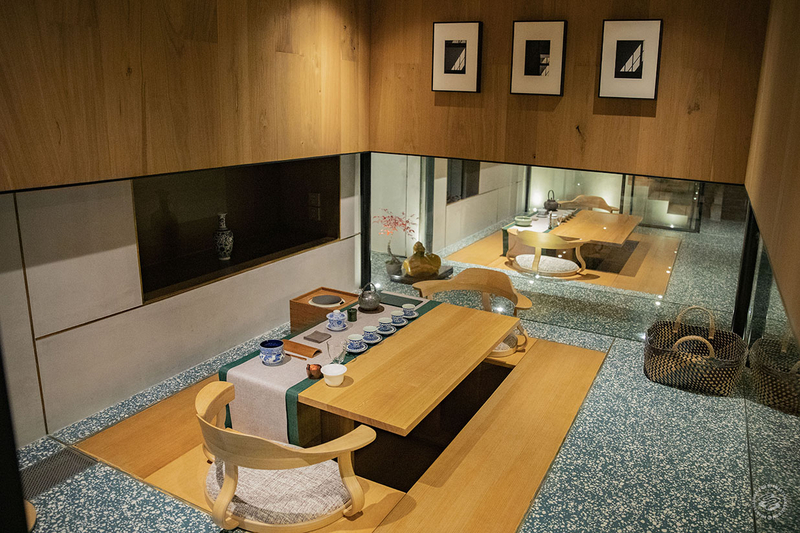 Chaffee, surrounded by the towering skyscrapers of Lujiazui, sits alone as a Zen-themed tea house in the middle of the financial hustle. 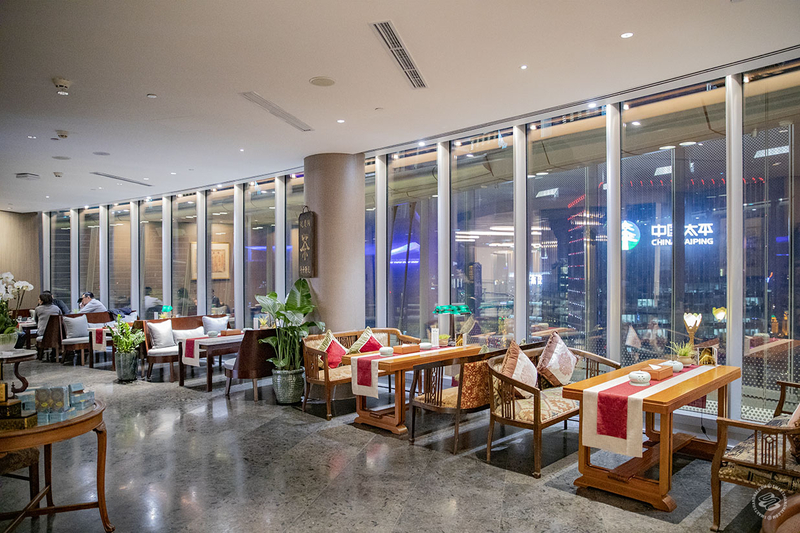 Its location on the lower ground floor of Gala Mall near Dongcheng Lu is very discreet, distancing itself from its food court neighbors. Behind each curtain, the private rooms are big enough for four. Soft guqin music floats in the background. 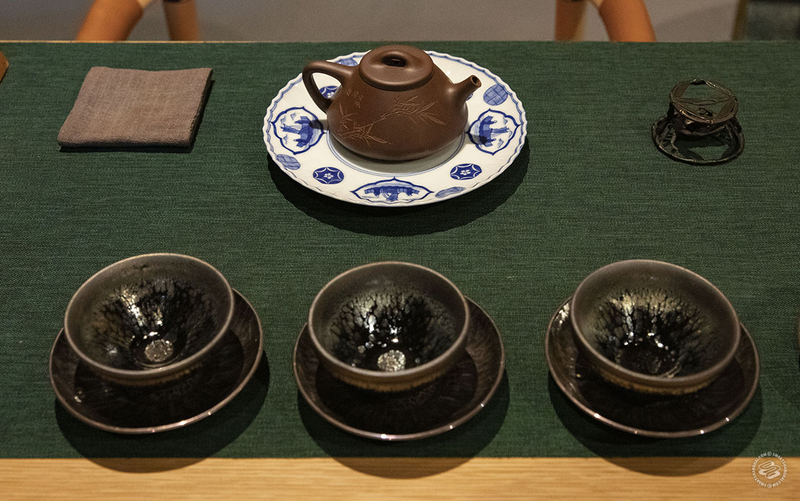 Their five tea sets, presented on a handwritten menu, each have about five varieties, from rougui and dancong to dianhong and white tea. The staff helps you brew the tea, but the service is not as attentive as Da Ke Tang. The tea is by no means bad, although the highlight is definitely the hill myna bird at the door. It picked up a few sentences from some Shanghainese uncle and can be quite a tease. 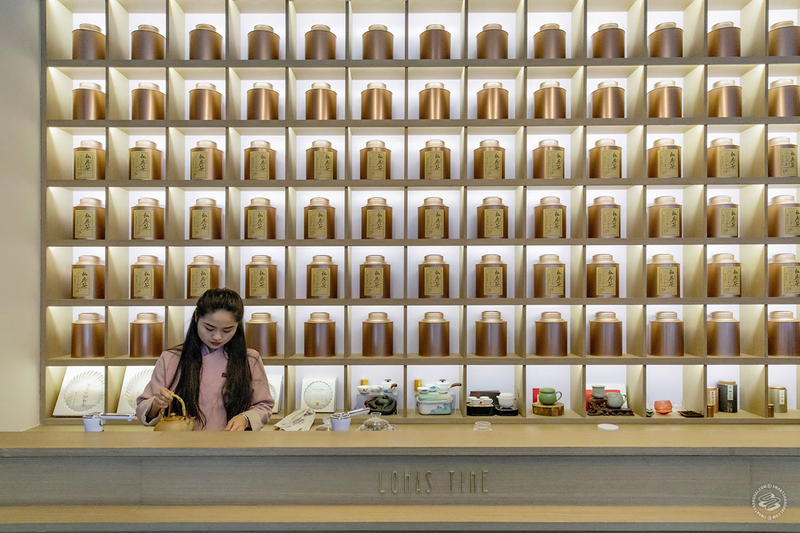 Yinxi, the Tera Wellness of tea houses, the tea house equivalent of a fast-food chain — as fast as brewing a cup of tea can get. Their shops have the same trendy look. Their staff is half tea professionals and half salespeople. They present food and membership cards on the same iPad that shows the tea menu. Yinxi has chains all over downtown Shanghai. All of them have low-key entrances like a speakeasy. At the one we went to, you need to press the head of a monk toy to get in (the second one from the right) then cross a small pond on wooden stepping stones to get to the reception desk. The tea rooms are a mix of neo-Chinese and Japanese style. 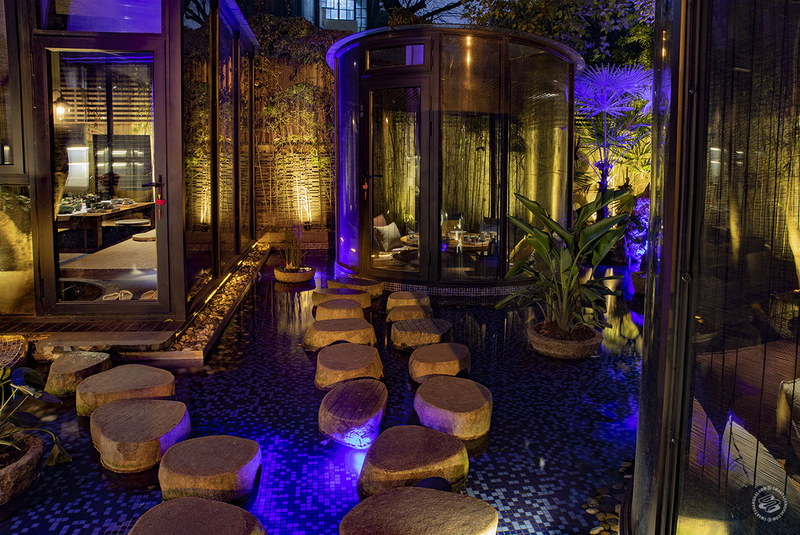 The one on Yuqing Lu has individual glass houses built on the pond, which make them really popular among white-collar ladies. 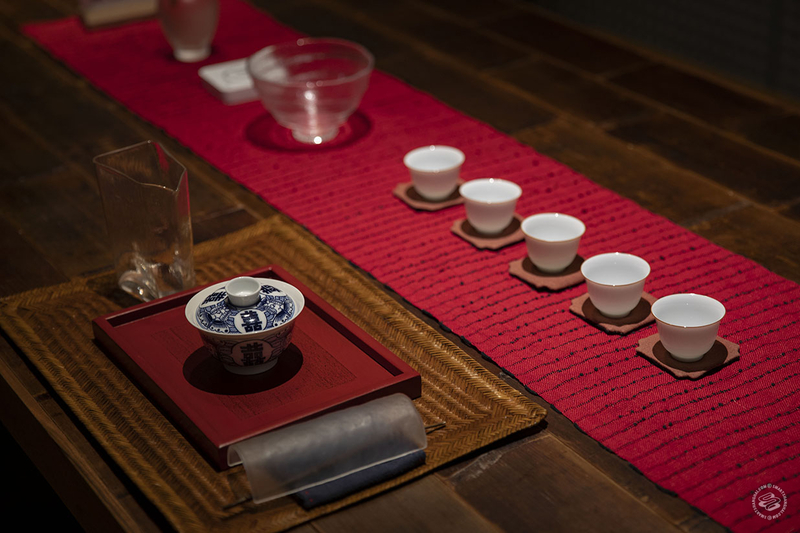 Yinxi has about twelve tea options, with a focus on pu’er and white tea. There’s also the conventional and popular black tea zhenshan xiaozhong (the smoky one), and rose oolong on the cheaper side. The staff will help you make the first brew. It’s a good place for casual business meetings and small group gatherings. 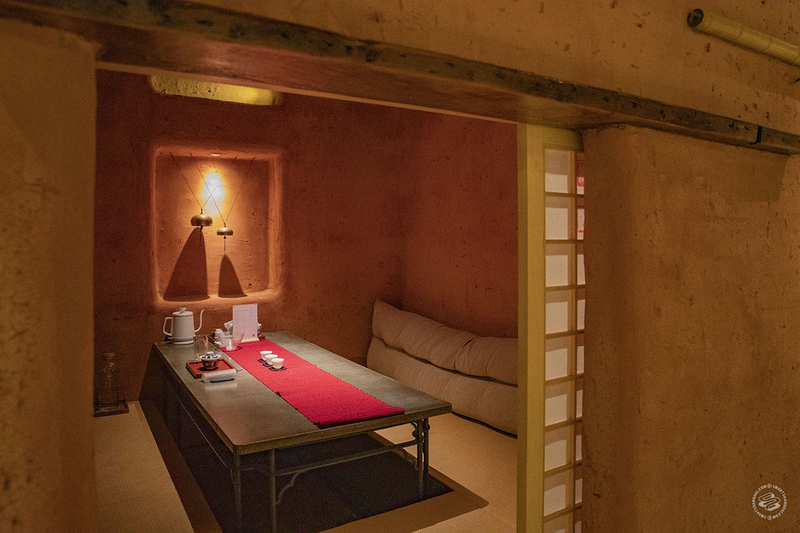 Despite the popularity, the rooms are relaxing, quiet and private. An interesting fact: Yinxi and Zenjoy (Chanxi), another popular tea house chain, used to share the same bloodline: Mingyue (茗约). Its founder Lili Bao was dubbed “Tea Fairy” by Ban Ki-moon while she served him tea at the World Expo in 2010, and that made her famous. 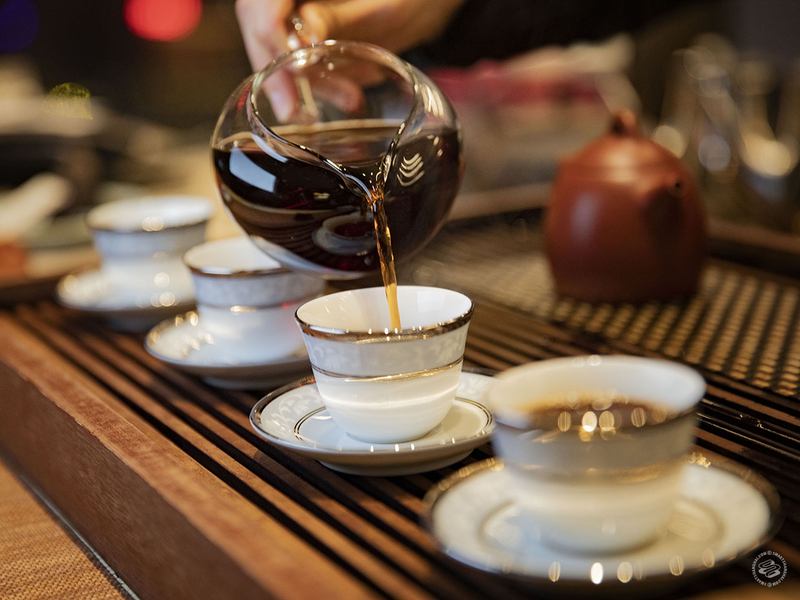 Zenjoy is a major force behind tea culture promotion in Shanghai. We wrote about them last year. Compared to Yinxi and Zenjoy, Da Ke Tang attracts more mature and professional customers. 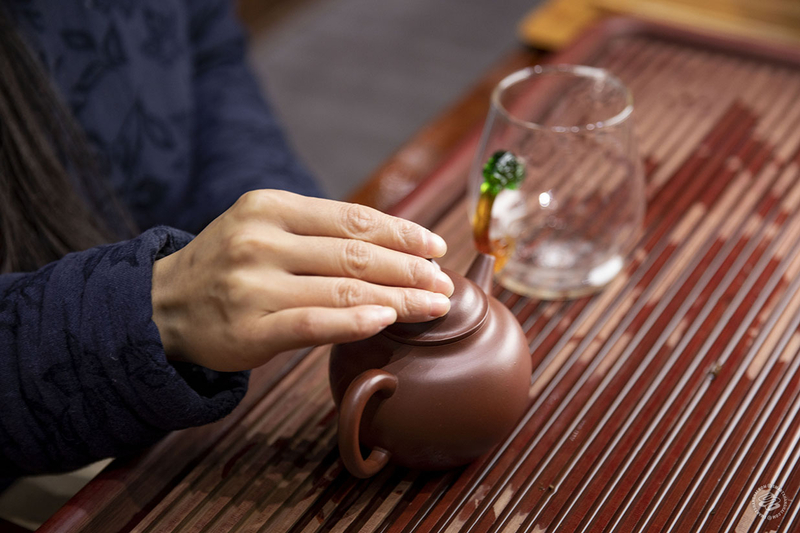 The teaware is also more delicate and the tea “sommeliers” are knowledgeable and attentive — they brew the tea and keep it warm. Da Ke Tang’s biggest and original location is a colonial mansion on Xiangyang Lu, proudly displaying a wall of endorsement from celebrities and politicians and a large collection of ripe pu’er cakes. The one pictured here is possibly the highest tea house in Shanghai, with 20-30 types of pu’er, both blended by themselves and from big names like the Menghai Tea Factory.